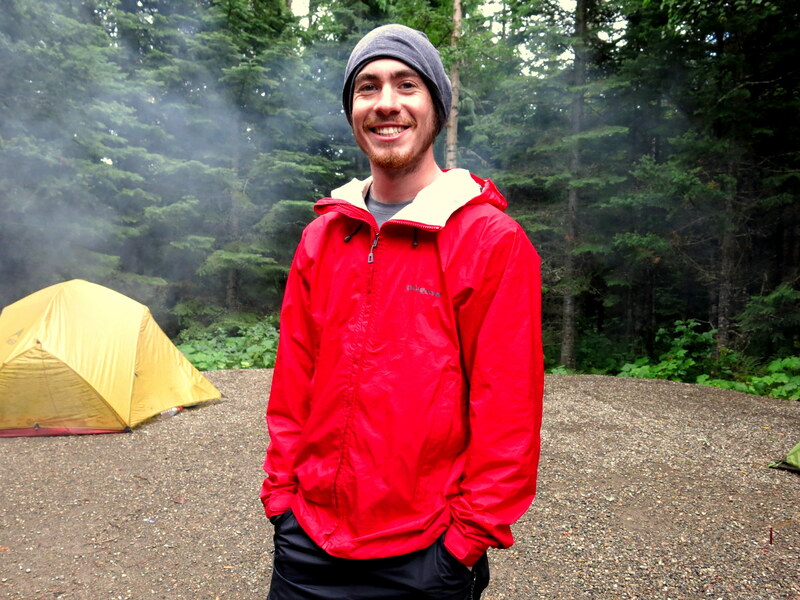 Quick update: Prince Rupert, BC to Jasper, Alberta. Many miles made, the push to Jasper complete. Now in the mountains, though after a few days of rain then a return to sunshine in BC, Alberta welcomes us with a cold, rainy drizzle. But sunny now and hopefully in the days ahead. Riding with Marc and Noemie (back left/right) and Marten and Doerte (front line). Off the ferry at Prince Rupert, we were a cycling gang of 5 heading east. 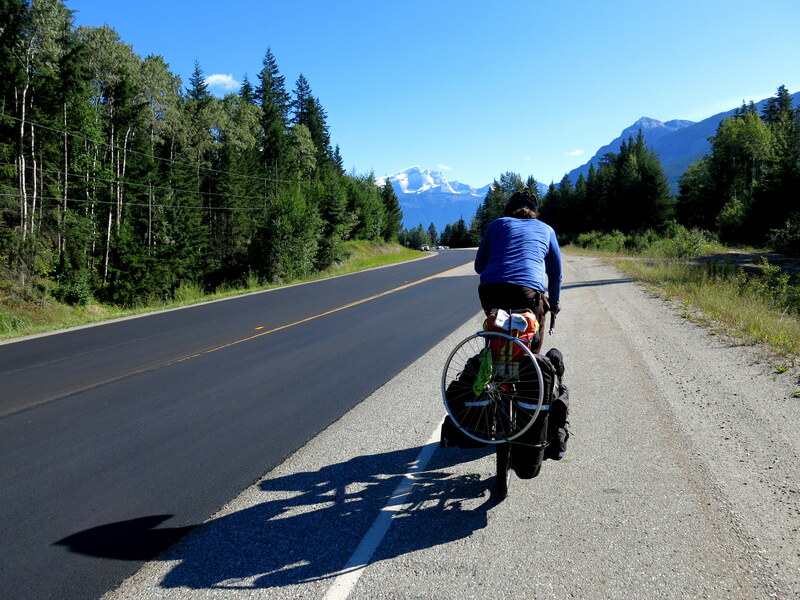 Marc and Noemie come from Quebec City, Noemie originally from France, having already ridden across Canada and up to Alaska and now headed south to Argentina, they hit the 10,000km of their ride on this leg of the trip. Marten and Doerte come from Germany on vacation, cycling from Alaska to Calgary. All 5 of us ride together for a few days to Smithers, then Marc, Noemie and I continue on by ourselves, not for wanting to split up, but just because our trip schedules end up being too different, and all 5 of us continuing on together would lead to too many unnecessary sacrifices by all parties. We do many long days, 130-150km/day is the norm, with the national parks at Jasper and Lake Louise our goals to have some rest days at to hike in the mountains. Marc with the mountains right before Mount Robson Nat’l Park. We’re in the Rockies now! Most days are sunny, good for covering distance and morale. We get hit by a few days of rain as we get closer to the Rockies, one we spend solely in the tents reading and relaxing, the next we set out to ride and end up getting rained on during the afternoon into the evening. Marc and Noemie have waterproof shoe covers; I have wet feet. This necessitates some much-needed washing in the next lake we come to on a sunny day- it’s a bad sign when other cyclists start commenting on how badly your socks smell. When we’re really tired/wet/dirty, we joke about how various countries farther south are for sure The Promised Land. At Mount Robson Nat’l Park, just before Jasper, we take a day off to go on an all-day hike, working some muscles that our bodies aren’t at all used to exercising. The views are worth it, plus the first campground in the park, 8km in, we’re allowed to bike to. Mountain bike territory for sure, the road there is a mostly well-packed dirt road through the park, though plenty of rocks in some places. An opportunity to test out Acero on mountain biking trails fully loaded, and he handles beautifully, though less weight (currently carrying plenty of food and cookies) would be nice. Not too hard of a ride to get to the campground, some steep uphill stretches become nice descents on the way back. After Mount Robson, we’re back on the road to Jasper. A Dutch cyclist joins us at Mount Robson, so now as we’re riding we speak a blend of English (everyone understands)/French (I’m learning some useful phrases)/Spanish (to practice for what’s ahead)/Dutch (why not? )/German (when we need to swear). For now, southbound down the Icefields Parkway to Lake Louise, then back to the USA!